Our best friends deserve a healthy and nutritious diet, and traditional dog food is anything but. Which is why many dog owners are turning to a raw food diet for their pets, which focuses on raw fruits, vegetables, meats and whole bones. 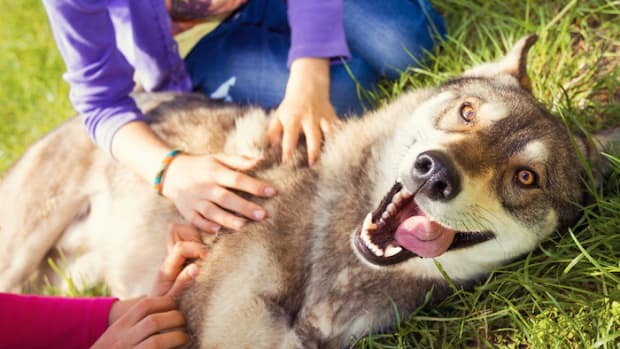 A raw diet more closely mimics what our canine friends have eaten throughout their existence on this planet, and is much healthier than packaged dog food, which mostly consists of grains and animal by-products. 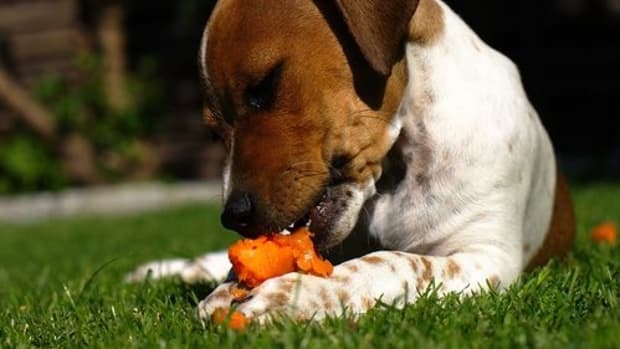 But is a raw food diet safe for dogs? Experts disagree. 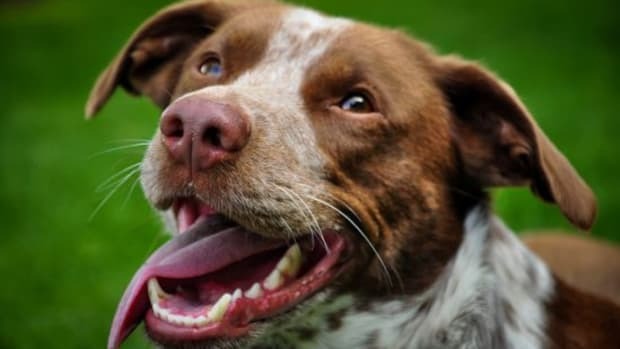 Racing and working dogs have long eaten raw foods to fuel their adventures – muscle meat (often still on the bone), whole bones, raw eggs, organ meats and fresh fruits and vegetables. In 1993, Australian veterinarian Ian Billinghurst took these feeding practices to the next level and applied them to the family pet. His feeding suggestions were called BARF: Bones And Raw Food, or Biologically Appropriate Raw Food. 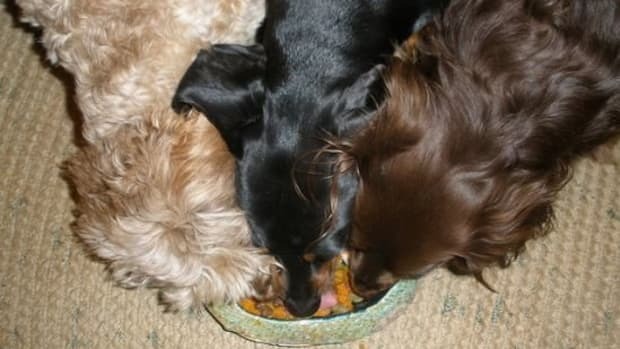 Dogs on raw food diets munch on whole raw chicken thighs, fresh ground beef, pork belly, broccoli stems, fruit peelings and other kitchen extras – but don’t think you can get away with just feeding your dog table scraps. No dogs need fatty human food, and dogs on the raw food diet will need fresh, raw meats to eat each day. Proponents of the raw dog food diet contend it creates healthier skin, shinier coats, higher energy levels and much smaller stools. 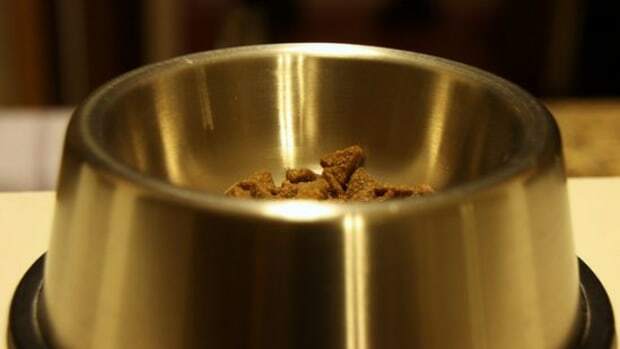 “Little white puffs of nothing that just blow away” is how one dog owner describes his dog’s excrement, whose pup has been thriving on the raw food diet for years. However not everyone is so gung-ho about this new/old dog food diet. 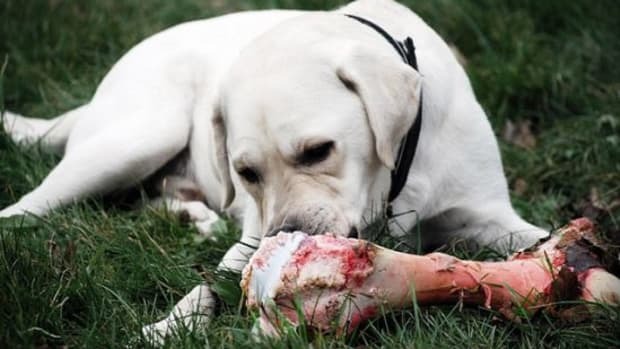 Potential risks include the threats to health from bacteria in raw meat, and the whole bones might choke a dog, break his teeth or cause internal punctures. Plus, there’s no scientific evidence of any sort to prove the benefits of this kind of diet. But for most dogs, the risks of eating a lifetime of processed low-quality canine food outweigh the risks of the raw food diet when it comes to health. 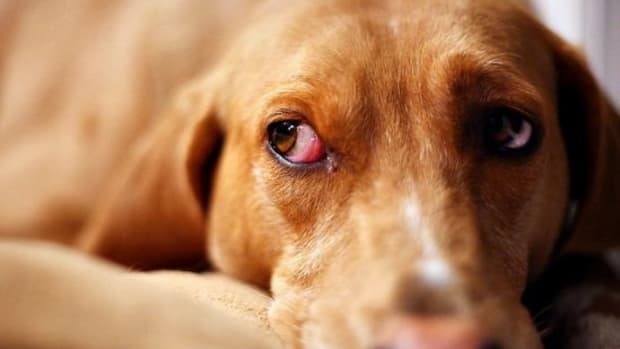 Dogs with digestive problems or skin disorders may benefit almost immediately from a switch from a processed, grain-based diet to a raw and living one. 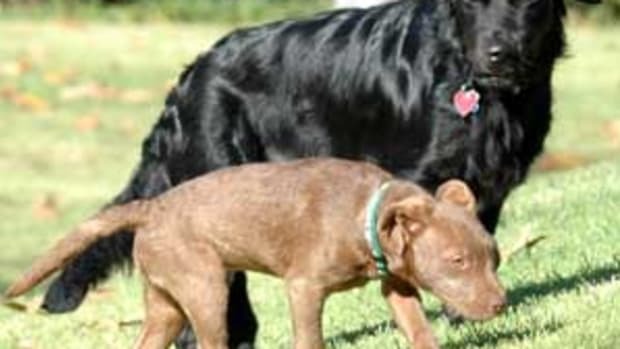 The raw dog food diet seems to also breathe new life into older dogs, giving them new bounces in their steps. One major drawback to the raw dog food diet? The cost. 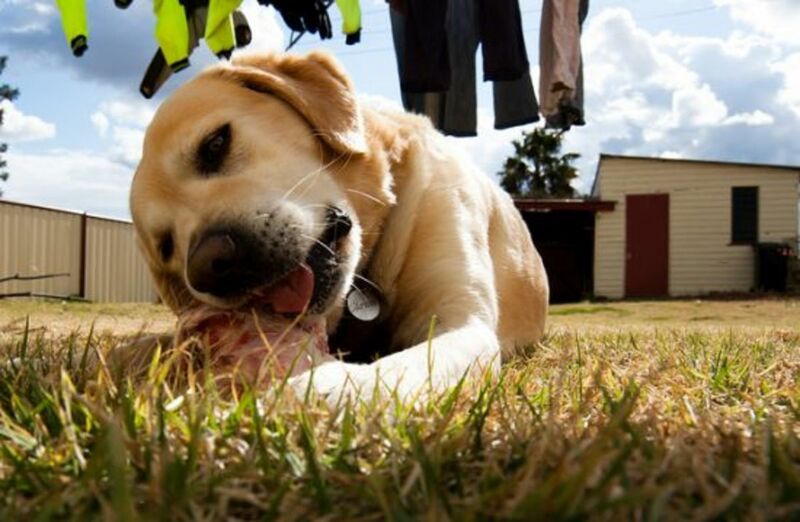 Feeding your pup ground pork, turkey legs or beef brisket three meals a day can be very expensive – not to mention the additional cost to the planet to produce all this meat. Most proponents of the raw dog food diet also own extra freezers to store up meats when they go on sale and can be purchased in bulk. For those living in small spaces or with limited resources, feeding a dog raw meat three times a day may be too big of a burden. In a day when many people are trying to reduce their meat consumption with initiatives like Meatless Monday, do we really need to start feeding our dogs better food than the majority of the world’s people get to eat? Maybe not – but they definitely deserve better than the processed, grain-based diet that we currently share with them.